Every $1 donated = $7 of Food! What are you having for Thanksgiving dinner? For the 920 families that visit Aurora Area Interfaith Food Pantry each week, Thanksgiving will be just another day where putting any meal on the table is a struggle. But you can help. 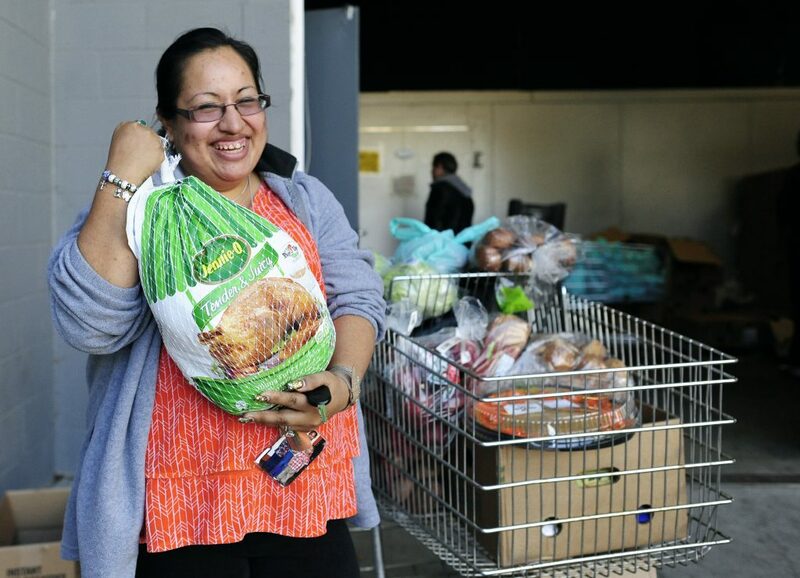 For just $16, you can provide an entire Thanksgiving dinner — that’s a turkey and all the fixings — for a family of six. Thanksgiving is a time for families and friends to gather together and reflect on the blessings in their lives. Won’t you consider sharing your own blessings with our neighbors in need by donating to the Aurora Food Pantry Thanksgiving Meal Fund? Together, we can ensure everyone has a Happy Thanksgiving. Thank you! To donate by check, please mail to: PO Box 2602 Aurora, IL 60507. Be sure to write “Thanksgiving” in the memo line! Website redesign funded by Community Foundation of the Fox River Valley grant.